To view the plugin in action open http://wp-webapp.com in a mobile device (works best on Apple iOS mobile devices). You will be prompted to add the website to your home screen. Follow the instructions and the web app’s icon will be added to your home screen. You can then open the website from your home screen like an app, view the opening splash screen, and enjoy full screen browsing! All these features can be added to your WordPress website with the WP Webapp plugin to enhance users mobile experience! WP Webapp’s features are optimized for Apple iOS mobile devices but also work on a variety of other mobile platforms. Media Uploader Added to PRO and ENTERPRISE Versions! 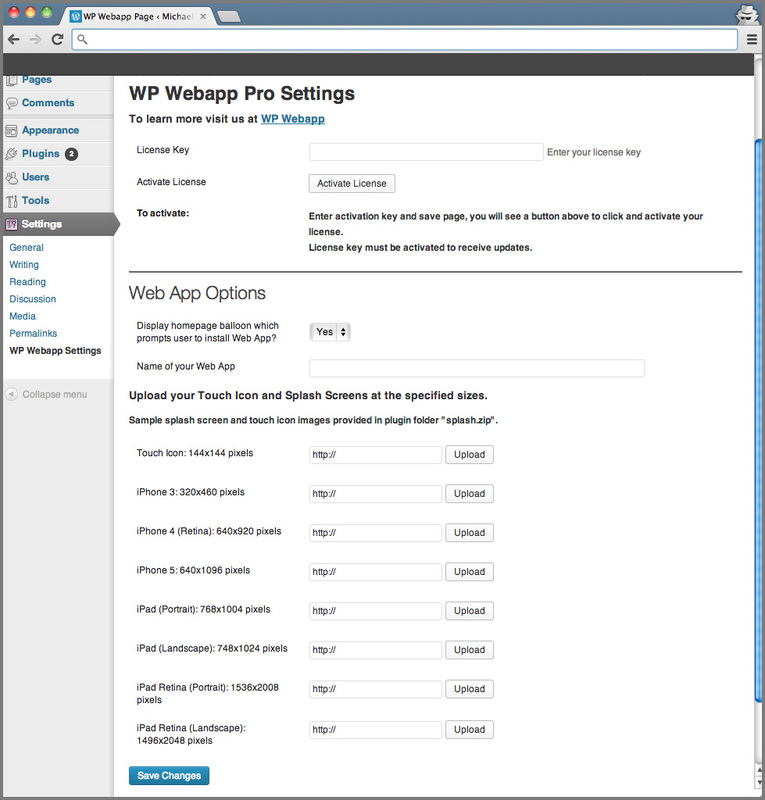 Upload your splash screens and touch icons right from the WP Webapp settings page in WordPress! Now available in the Pro and Enterprise versions!